Apparently out municipality is changing from 2 ppm of fluoride to 0.7 ppm of fluoride. I searched on eBay for water filters specifically mentioning "fluoride" - the filters I found mention that they remove 95% if the fluoride is 100 ppm - well that's just fine but I am in a municipality that is probably 2 ppm. So how to I remove fluoride from a regular municipality ? As far as I know, all the filters that remove flouride are using bone char. This can be purchased on the net. It works better than ordinary charcoal, which the other water filters usually use. As an added benefit to permies, both bone and other charcoals can also be used in gardens to deal with toxins in the soil. I live in an area with mercury and lead from idiotic prior generations, so I put natural charcoal in all my garden beds, sort of a homemade terra preta attempt. Also crushed bisqueware, EM, mycelium, urine and compost. Things grow very well in this, but they probably would have anyhow, and I can't afford scientific testing to see what it's doing as far as metal absorption by my plants... but would certainly like to know what other people are doing with this! I believe I read some fluoride removal systems used aluminum (would have to check). keralee - there are also fungi that can bind toxins into molecules that make the a non-issue, from what some have said. can not tell you what fungi, but hoping i have some. I found there is a lovely spring 40 minutes from my residence. My daughter and I bought five 5 gallon water containers, BPA free, from Walmart. They are stiff and look like Poland Spring bottles, but have screw caps. $7 each. Then my brother gave us two 5 gallon Poland Spring bottles. I washed them all by swishing a little dish soap and water inside (new containers must be washed or it stinks). It's as good as a $2000 water filter I'm sure ! Screw city water with it's fluoride, chlorine, and other yucks. Sorry about the sign in the pic, it's covered in acrylic and there was glare on it. It reads "Cooper Spring, Oxford Co Water and Soil conservation District, History Fred + Estella Pearson Cooper, Settled About 100 ft North of this Spring in 1881"
I did a lot of reading about water filters. They start by removing large bits, like dirt, then get progressively smaller. The final stages are a charcoal filter then a UV light. The UV light zaps viruses and bacteria but it must be the last stage - because a bug could conceivably hide from the UV light behind a piece of dirt. Read through that website, they have DIY plans and all is free. I've seen this theory before. It's widespread. I hear good things about Berky filters but would like to add UV to it. 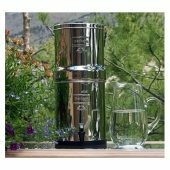 I've also heard good things about Sawyer water filters, they have a million gallon guarantee. That's cool ! Yet still needs particulate filer "pre" and UV light "post", I think. just saying inside a car is not often a very healthy environment. I've been working all day today and wish I was outside right now. But it is a good point, transporting spring water is not efficient. But I honestly believe it's equivalent to a $2000 water filter using our municipal water supply as a source. I've come to believe that Fluoride is nasty stuff ! I think the spring water has a lot of beneficial minerals too. I've also come to learn that Poland Spring water, a popular water locally, is actually owned by evil Nestle ! I actually thought that Poland Spring water was from Poland Maine. So I am happy to collect my own water from Cooper spring rather than drink Nestle's stolen stuff. I've come to believe that Nestle is a terrible company. But I don't claim to know everything LOL, we'll see how it all goes. Dr Temp, it would not surprise me if aluminum is used in some fluoride removal systems, as they do bond well (thus teflon and aluminum pans)... I speculate that the main reason aluminum is often found in high amounts in brains of Alzheimer patients is that the aluminum is acting as transport agent for flouride compounds and these are the real culprits, strong neurotoxins. I know trifluoroacetic acid can cause permanent nerve pain, at least. This makes me think other Fl compounds would act similarly, if more slowly. I don't know which ones either, so I just keep importing as many as I can and figure nature will work the rest out. Did you all check http://www.findaspring.com ? Once fluorine gets into the body, it can be detoxified using lugol's iodine solution. Iodine tends to displace, and detoxify other halides, which include fluoride, chloride, & bromide. Fluorides and chlorides are obviously common in municipal water supply. Bromide is used in flour, and is highly destructive to the thyroid - I believe one of the reasons many people do better on a wheat free diet, is they stop consuming bromide. Anyway, you want the halides out, and iodine is the key. While taking some horticulture classes, we learned that the spider plants - commonly sold in hanging baskets - will die if given too much tap water. This is because they are more sensitive to flouride than most common houseplants. If you let tap water set, uncovered, for 24 hours, or more, both the chlorine and flouride dissipates. Debbie Marsh wrote: While taking some horticulture classes, we learned that the spider plants - commonly sold in hanging baskets - will die if given too much tap water. This is because they are more sensitive to flouride than most common houseplants. If you let tap water set, uncovered, for 24 hours, or more, both the chlorine and flouride dissipates. You're right about chlorine, but fluoride does not dissipate from open containers. Only special filters will remove fluoride from water. most places now add chloramine to water and not chlorine and chloramine will not dissipate. I don't know what filtered are needed to remove it but when they switched to chloramine here a lot of people who had aquariums and had been letting the chlorine evaporate off where very upset because their fish died. i worked at a pet store at the time. i have heard that filters that remove flouride also remove important minerals that need to be replaced but that was just something someone told me once i have never looked into it myself. So if anyone has a better filter or solution, I'd love to hear it! I do that too Weston. I've known about it for years and I think about it all time, probably even daily, but I just keep using it. I'm finally going to check out a local artisan well I found on www.findaspring.com and fill up a couple jugs of pure stuff. I just wish there were more than a couple in my area(Seattle). yukkuri kame wrote: Once fluorine gets into the body, it can be detoxified using lugol's iodine solution. Iodine tends to displace, and detoxify other halides, which include fluoride, chloride, & bromide. Fluorides and chlorides are obviously common in municipal water supply. Bromide is used in flour, and is highly destructive to the thyroid - I believe one of the reasons many people do better on a wheat free diet, is they stop consuming bromide. Anyway, you want the halides out, and iodine is the key. Seaweed is the best natural source of iodine and it's packed with a lot of other minerals and vitamins too. I plan to forage some for the first time this year. Looks like alumina actually will remove it. It was discovered that MIAA, at 20 +/- degrees Celsius has the capacity to remove more than 95% of fluoride from water. In fact, the adsorption capacity of MIAA was much higher (0.76?mg/g) when compared to the adsorption capacity of activated charcoal (0.47?mg/g) for the same concentration fluoride samples. The adsorption method that is used by modified immobilized activated alumina (MIAA) is much more cost-effective (Ali, I., & Gupta, V. K.  Advances in water treatment by adsorption technology. Nature Protocols) than the popular Reverse Osmosis Filtration method. Hi all Flouride being a + charged particle can be removed with zeolite ? best if its a good quality one, as most already have full cages. zeolite will remove all heavy metals and many other toxins as well as radiation. I'm very happy with the taste and smell of the water. Drinking water was a nightmare before this. I don't know of any other options. There needs to be much more sincere work on fluoride management and a reevaluation of it's toxicity. tl;dr: I use berkey with black and PF2 fluoride filters. It works great for me, I'm very happy with it, +1. I don't know of any other methods. I also use what Hal uses, black berkey filter and PF2 fluoride/arsenic filters and my wife and I are happy with them. We've used them for 3 years at least. 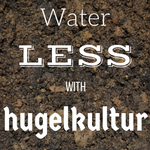 I'm just realizing I should be filtering my water used on my garden too. That chlorine/chloramine is probably hurting my soil life and I never thought about it before. Does anyone have recommendations on de-chlorination filters for hoses? I am checking out a few recommended by the "GrowingYourGreens" guy, a youtube channel and website about growing your own food with occasional permaculture tie-ins and urban/suburban focus. Anyone have any experience with these products or better ones? I'm leaning toward the Boogie Brew one with its longer lifespan and am considering trying some of their compost tea mix to boost my soil life. Hi David sorry to confuse I wrote that comment really poorly. Its the metals I was referring to. My comment on Zeolite Removing Fluoride was in reference to hydrofluoric acid which is the main form used to fluoridate water, and as it is a waste product of smelters, and weapons manufacturing, it contains all sorts of heavy metals and toxins like lead, mercury, cadmium, arsenic, aluminum, benzene and radioactive waste material. All of this can be removed by the zeolite. But not the fluoride its self. Also, any wisdom on how to make a greywater system cleanse fluoride out of municipal water for my growies? is bone char effective enough? is there a way of making bone char without smelling up the neighborhood? can you do it in your oven or on a grill? any help here with getting from A to Z letter by letter would be appreciated. (Have bones, been accumulating them in the freezer for a year and a half now, originally was going to use them to remediate lead but maybe they can do double-duty). I love that you can siphon water from a tub downstairs with a hose and no plumbing changes necessary! 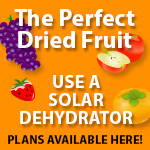 Still wanting some input on this--how to defluoridate and dechlorinate (de-chloromine-ify) my graywater. How much bone char do I need? can I make bone char myself or does it have to be heated to 1500 fahrenheit?? thanks!